Fresh off leading his Los Angeles Rams to a Super Bowl appearance, most figured that quarterback Jared Goff would be in line for a huge payday this offseason. The No. 1 overall pick in the 2016 NFL Draft, Goff just became eligible for an extension once the new league year started in March. Instead of making news on that front, Los Angeles decided to sign a still-young Blake Bortles to be Goff’s backup. We fully understand that the addition of Bortles wasn’t meant to create a quarterback controversy in Southern California. However, it could have unintended consequences. No extension for Goff: Rams head coach Sean McVay made this clear. The talented young head man noted during the NFL meetings in Arizona this week that a Goff extension doesn’t appear to be on the radar. Bortles’ contract called for just $1 million guaranteed. Despite his suspect play in Jacksonville, this was a bargain. The idea here was to add a backup with starting experience to the mix. That’s despite the fact that Goff has not proven to be injury-prone over the course of his three-year career. This could be a signal to Goff: After struggling late last season, nothing is guaranteed. 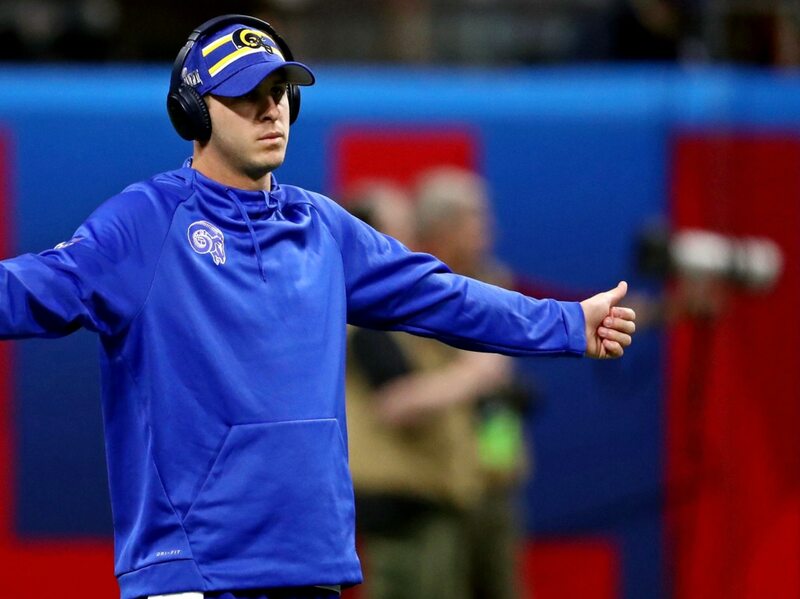 Postseason included, Goff threw seven touchdowns compared to eight interceptions in his final seven games in 2018. This included one of the most brutal Super Bowl performances from a quarterback in modern NFL history. It is possible that McVay will have a short leash with Goff this coming season. After all, Bortles made sure to note that the young head coach was the primary reason for him signing in Los Angeles. It’s all about the cap: Los Angeles has money allocated elsewhere. Even after letting the likes of Rodger Staffold and Lamarcus Joyner depart in free agency, Los Angeles’ cap is top-heavy right now. For the 2019 season, this means paying out a combined $42 million to Aaron Donald, Brandin Cooks and Todd Gurley. All three are among the highest-paid players at their positions in the NFL right now. All about the future: There’s other areas Los Angeles must address. First off, McVay noted this past week that the Rams want to extend cornerback Marcus Peters. The Pro Bowl performer is entering the final year of his rookie contract. Peters’ new deal will likely reset the cornerback market — totaling $80-plus million over five seasons. That’s on par with the deals Trumaine Johnson and Josh Norman signed in previous years. Though, inflation suggests a higher payday. In the end, Goff appears to be Los Angeles’ franchise quarterback. He’s been stellar in two seasons under McVay. But nothing is guaranteed on this front. The Rams plan to play out the 2019 season and gauge where they are with Goff after that. What happens then remains anyone’s guess.